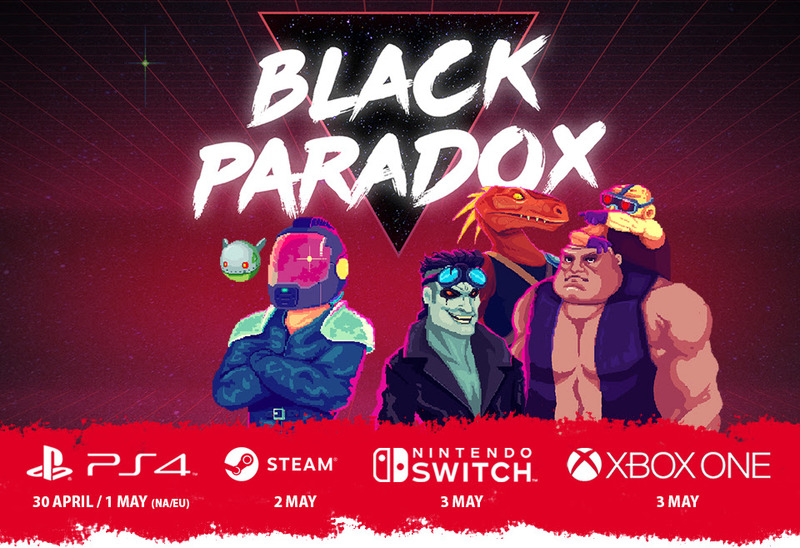 Digerati have announcd that they are bringing the intense retro shoot’ em up Black Paradox to the Nintendo Switch on May 3rd, 2019. The game features interstellar dogfighting in flying cars and masked bounty hunters with 20 different weapons and 62 different enemies to blow to smithereens. There are also 14 bosses to showdown with as well as a secret boss. You can find out more in the official announcement below and check out the trailer. 11 April 2019 – From indie publisher Digerati and Italian developer Fantastico Studio comes the galactic side-scrolling roguelite shoot ‘em up, Black Paradox. The retro-stylish shmup is set to launch on PlayStation 4 on 30 April/1 May (NA/EU respectively), and Nintendo Switch™ and Xbox One on 3 May. Black Paradox also makes the hyper jump from Steam Early Access into full release on 2 May. During its time in Early Access, Black Paradox has garnered an 8.5/10 positive rating on Steam, praised by users for its intense boss fights and side-scrolling action, variety of enemies, weapons and upgrades, and stylish 80s-infused aesthetic and powerful retro soundtrack. Black Paradox is a fast-paced roguelite shoot ’em up. Unleash an arsenal of weapons, power-ups, drones, and other upgrades to survive waves of enemies, against a backdrop of vibrant pixel art and synth-wave soundtrack. As the infamous bounty hunter Black Paradox, travel through space and defeat the most dangerous criminal organization in the galaxy: the Hellraisers and its seven lieutenants. Enter the cockpit, ready your weapons, and prepare for the ultimate galactic showdown.